Opponent takes 200 damage. NOW THATS A LOT OF DAMAGE!!! Attack 2 : I sawed this boat in half! 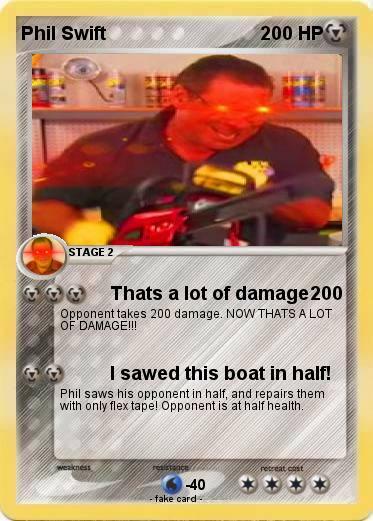 Phil saws his opponent in half, and repairs them with only flex tape! Opponent is at half health.